HVL main entrance, L on Alpine, R on Timberline Trail to cul-de-sac. You will know this is truly something special as soon as you walk in!Parklike lakefront lot w/home filled w/charisma & charm! 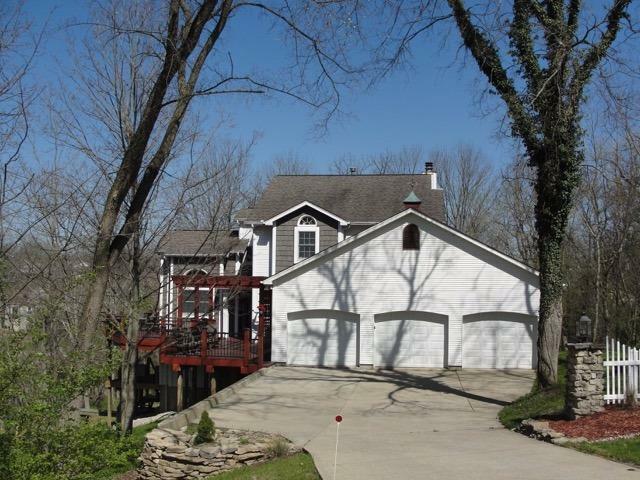 This wonderful home offers exceptional location, beaut wds, level driveway & 3 car gar! Inside you will be enchanted w/stunning great rm accent w/two story palladium combination windows, wood flrs & easy access to outdoors!